Folic Acid is a B-Vitamin‚ which is essential to good health and is especially important to pregnant women or those intending to get pregnant. Inadequate levels of folic acid can lead to birth defects in newborns. Due to genetic mutations‚ it was discovered that 10%–25% of individuals may not fully absorb the form of folic acid commonly found in foods and dietary supplements. In those individuals‚ an active form of folic acid is required so that certain biochemical conversions are bypassed. Kirkman’s 5-MTHF is a biologically active form of folic acid. 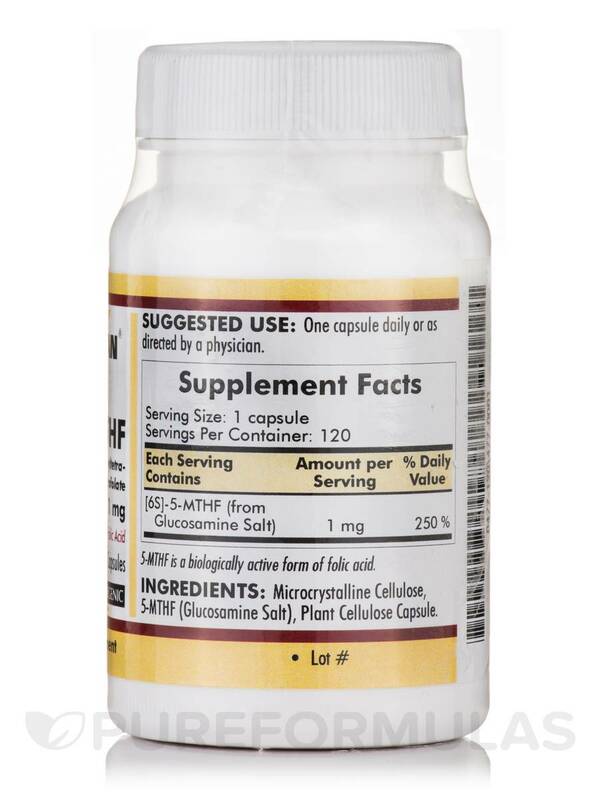 If you are unaware of your folate status or if your physician has advised you that you have one of these genetic mutations hindering folic acid absorption‚ 5-MTHF offers a safe and effective solution. 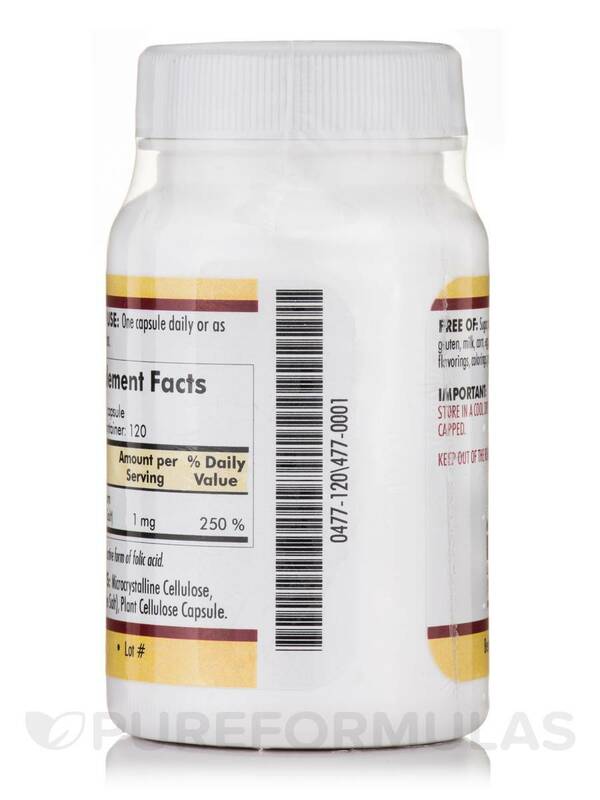 These hypoallergenic capsules are dosed at 1 milligram‚ however your doctor may recommend higher doses. 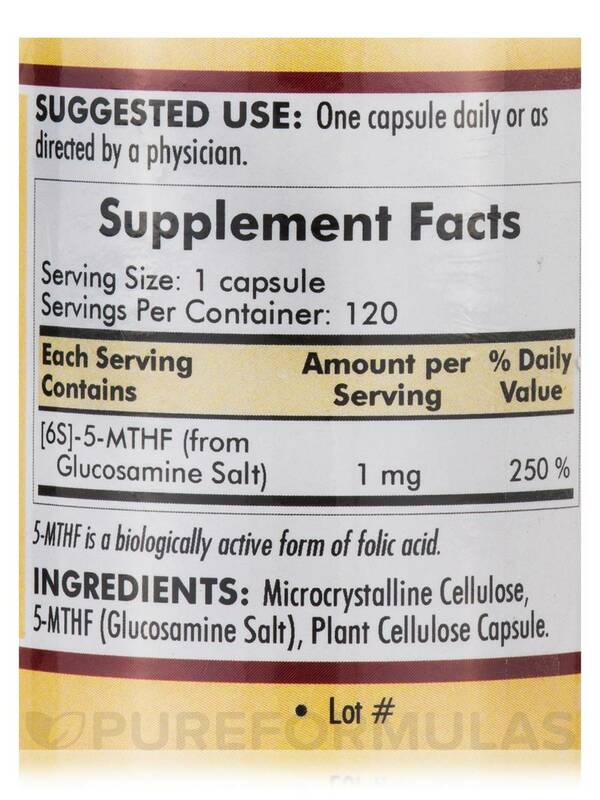 Ingredients: Microcrystalline Cellulose‚ 5-MTHF (Glucosamine Salt)‚ Plant Cellulose Capsule. This product is free of Sugar‚ Starch‚Soy‚ Wheat‚ Casein‚ Gluten‚ Milk‚ Corn‚ Egg‚ Preservatives‚ Yeast‚ Gelatin‚ Flavoring‚ Colorings‚ Peanuts‚ Tree Nuts or Fish. Store in a cool dry place and tightly capped. Keep out of reach of children. 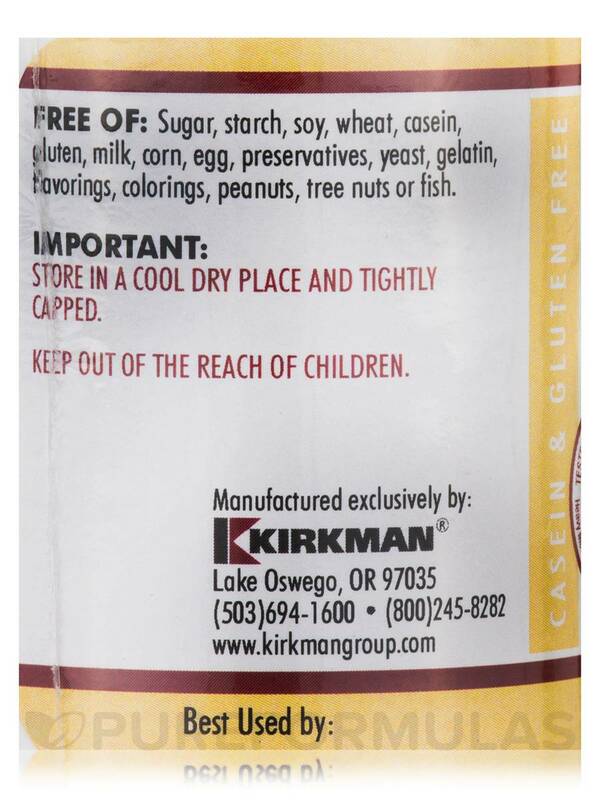 Allergen Caution: Free of Sugar‚ Starch‚Soy‚ Wheat‚ Casein‚ Gluten‚ Milk‚ Corn‚ Egg‚ Preservatives‚ Yeast‚ Gelatin‚ Flavoring‚ Colorings‚ Peanuts‚ Tree Nuts or Fish. 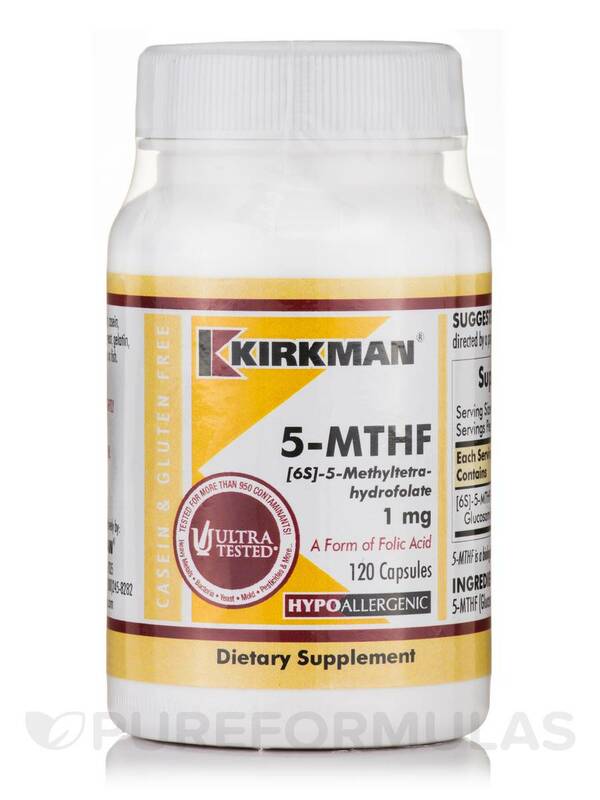 My doctor had recommended 5-MTHF([6s]-5-Methyltetrahydrofolate) 1 mg by Kirkman and I've been on them for years. They've changed their shipping and handling from free to $30 for my regular purchase. 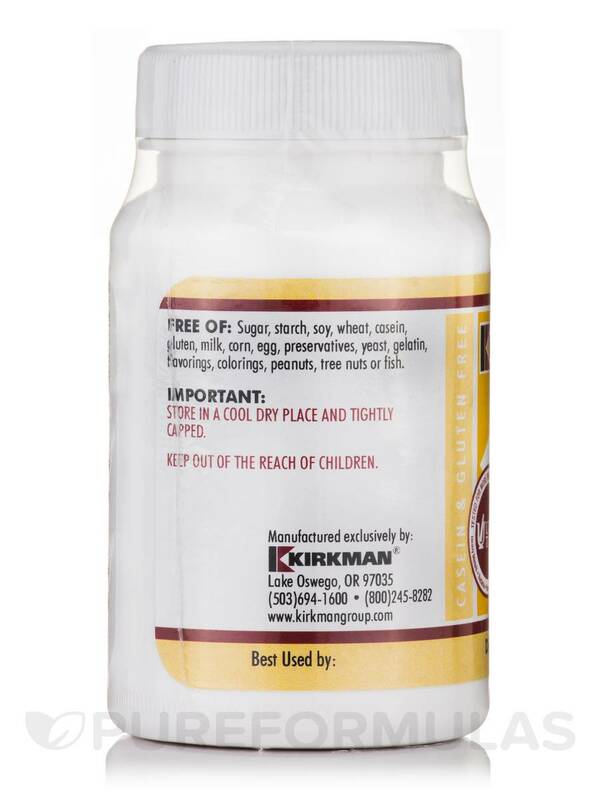 My doctor has approved the quality of this Kirkman product and it is still the better priced option especially if I take a lower daily dose. I am so grateful for it! I have had to go on a lower daily dose to fit my budget.